In Kinsey's Closet: Happy New Year! Another New Year's Eve has come and gone, leaving behind the first day of January. My honey and I decided to forgo any NYE festivities this year, and instead sipped prosecco while playing with our new pup Pearl. I wanted to ring in 2015 with some color and steer clear of cliche sequins, so I grabbed a blue dress and wore my new blue suede booties. They're bringing out my inner Elvis! Fun fact: me and The King have the same birthday- coming up in exactly one week! What did you wear for NYE? The older I get the more I appreciate low key NYEs. 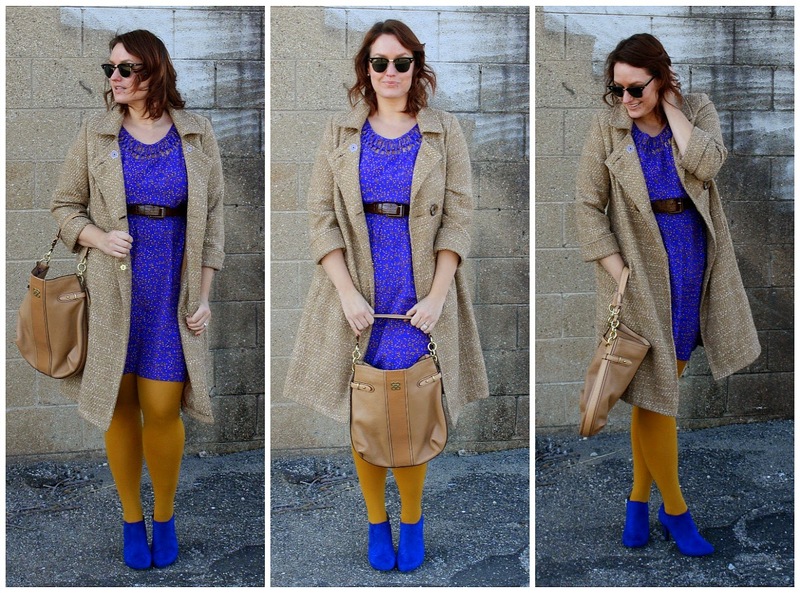 I love the blue dress and yellow tights!